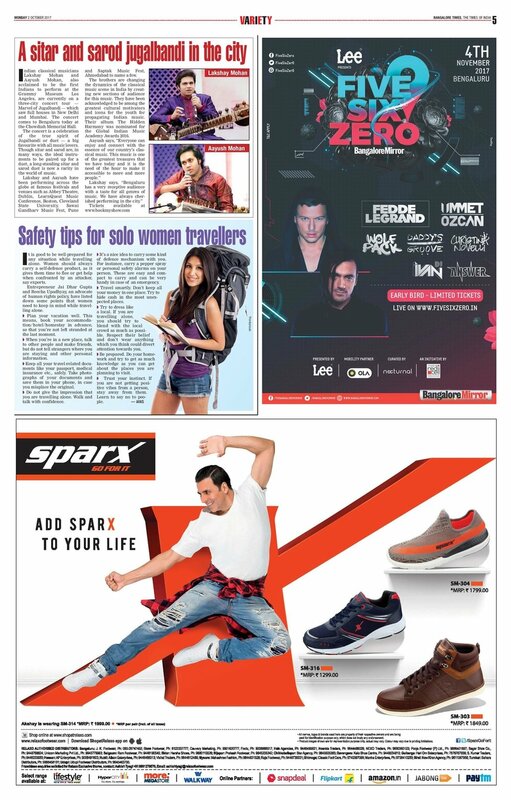 The Mohan Brothers speak to Bangalore Times about their tour and Indian classical music. 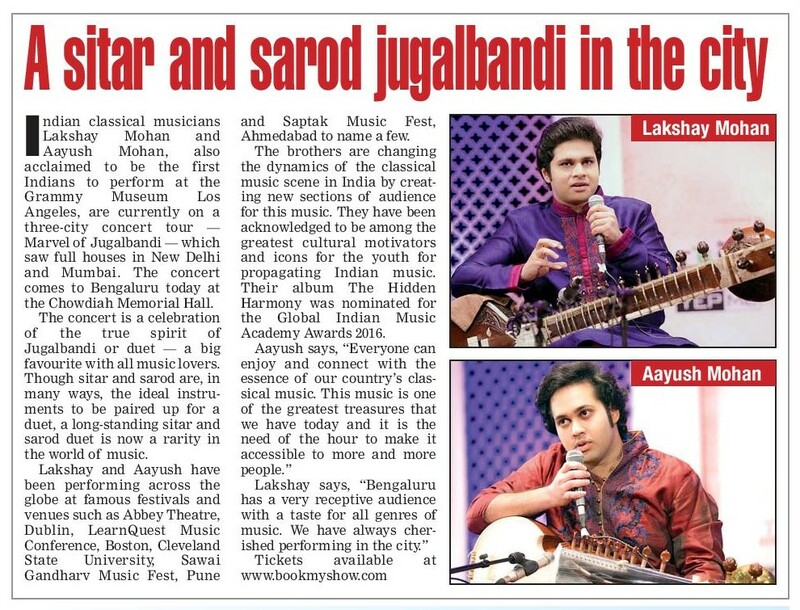 Lakshay Mohan & Aayush Mohan spoke to the Bangalore Times about their upcoming Marvel of Jugalbandi concert series which is to be premiered in Bangalore on 2nd October at the Chowdiah Memorial Hall. They also expressed their thoughts on how Indian classical music appeals to all and that there is a need to raise awareness about this cultural treasure of India. Older PostMohan Brothers at the Red FM studios!